This is a “reprint” from the April 2016 edition of FDTimes (Issue 75). 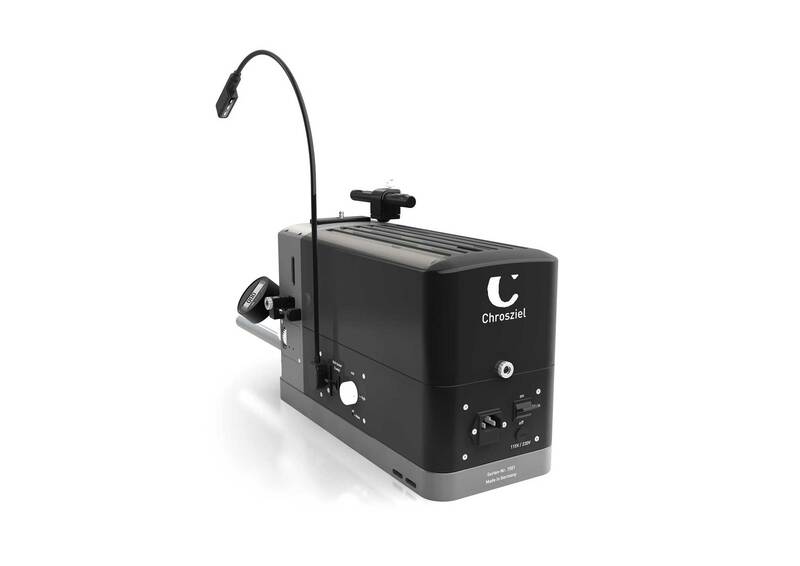 The Chrosziel Mark 6 Lens Projector is extremely bright, has an LED light that won’t scorch your fingers as you fumble in the dark of your lens projection room, and has many innovative new features. The new Chrosziel Handgrip Extender (403-FS5) is a helpful accessory for shooting from the shoulder with a Sony PXW-FS5 camera. A Hirth tooth rosette with screws is included. 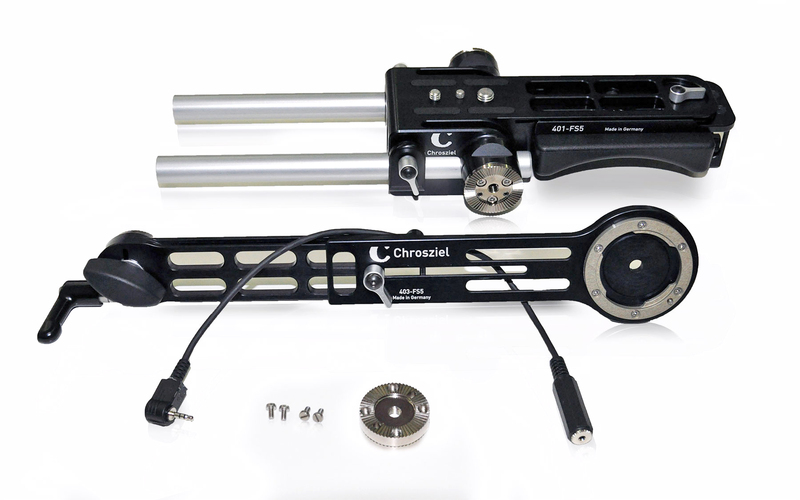 It quickly attaches either on the Chrosziel Light Weight Support or directly on the camera. The FS5 handgrip mounts to the end of the Chrosziel Handgrip Extender with an integrated bayonet lock. Telescopic extension is 175 to 250mm. A 300 mm LANC extension cable with 2.5mm connectors is also included. 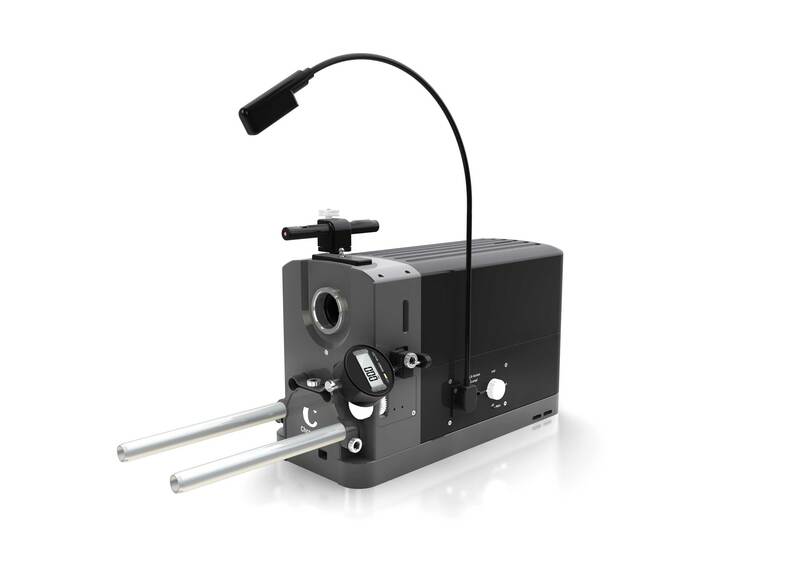 The new Chrosziel Zoom Rocker is a stepless zoom control that mounts to a Chrosziel MagNum Hand Unit (MN-150T or MN-200T). The Zoom Rocker (MN-ZR) attaches without contacts or cables, keeping water, dust or dirt from entering the MagNum Hand Unit. The rocker can be operated with one or two fingers. MagNum Firmware integrates functions like Zoom Speed, Zoom Zap, Zoom Limits, Zoom Soft Stop and Zoom Bar. Zoom speed is continuously variable. Software zoom limits are assignable from the MagNum menu. 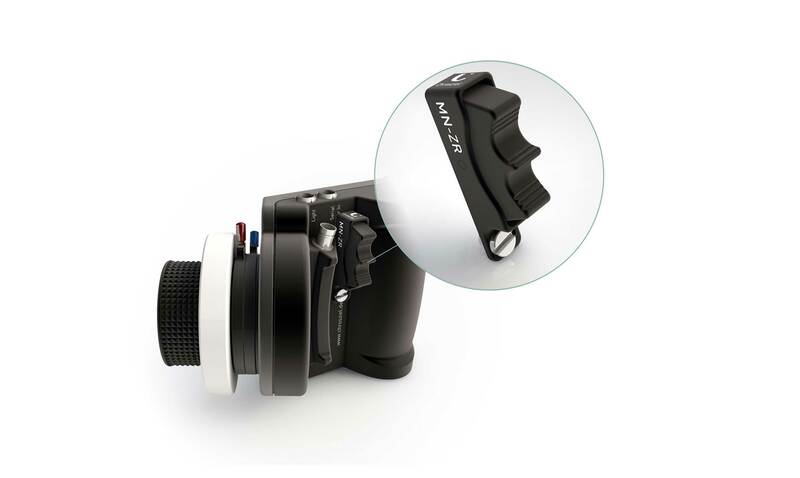 Zoom Soft Stop provides a gentle and soft stop at the end of the mechanical or software-enabled zoom. Zoom Bar displays the actual zoom position on the MagNum. If software zoom limits have been activated, the zoom bar shows the “outer limits” grayed out. Maximum zoom speed can be set on the Hand Unit.